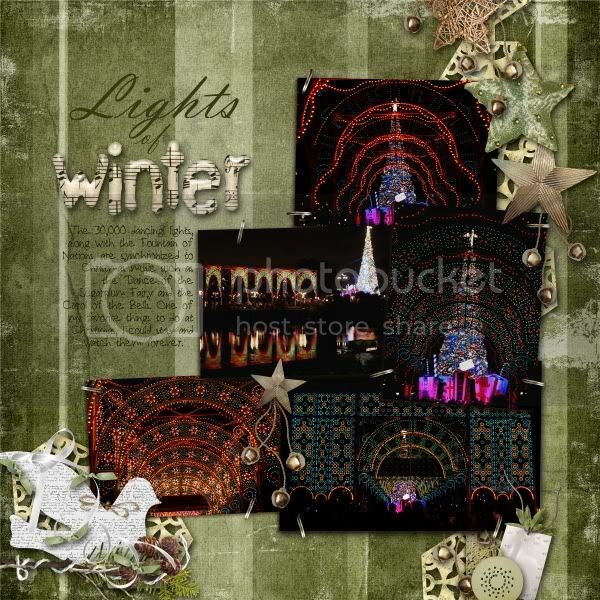 Wow - those lights are gorgeous! 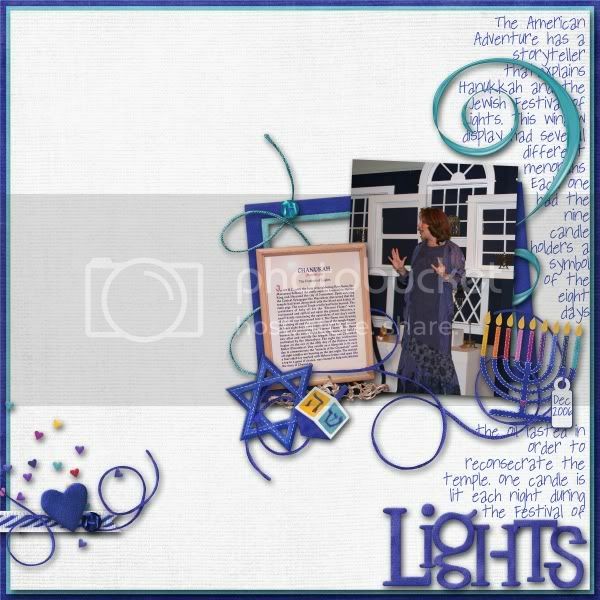 And the Hanukkah lo is beautiful. I just love Andi's new kit! I never got to see the Hanukkah storyteller. I only saw 2, actually, I wish I could have seen more (we didn't even get over to the other side of the World Showcase, even though we were in Epcot a ton!) Here's my LO for the French storyteller. 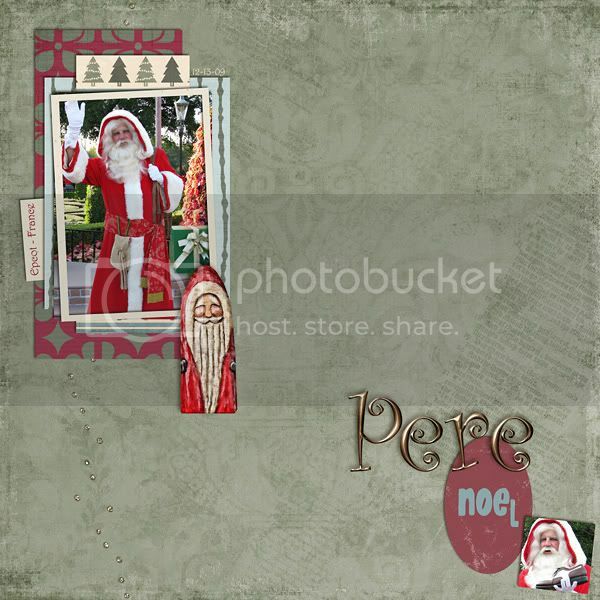 I'll eventually expand this LO since I have lots more pics (including one of my with Pere Noel), but as soon as I saw this Santa element from WM[Squared] I *had* to do a LO with it! Click for credits.